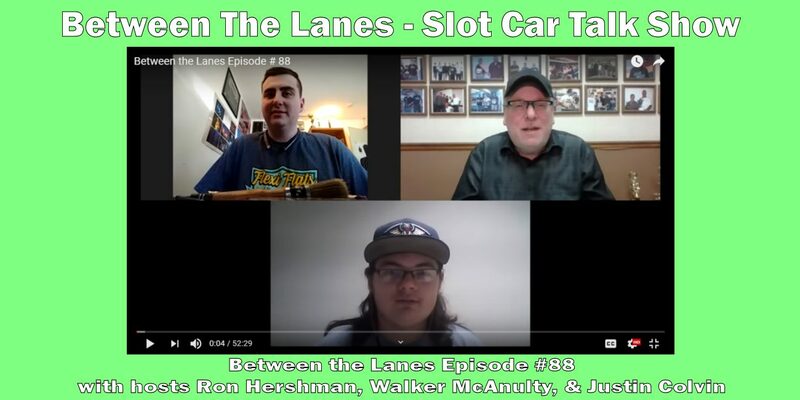 Between the Lanes – Episode #1 – Dyno’s, Braid, etc. 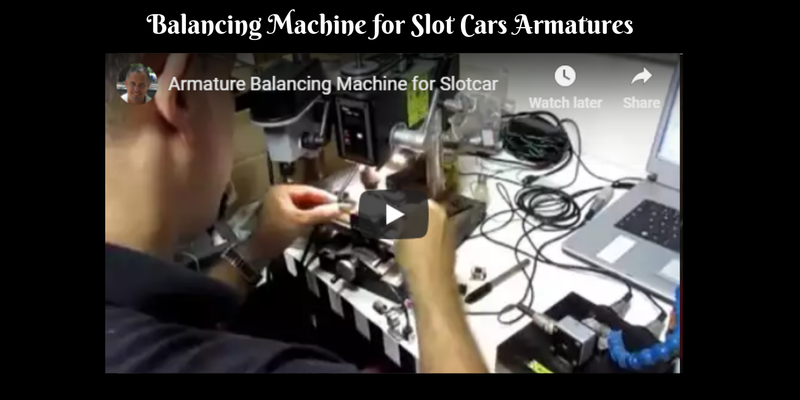 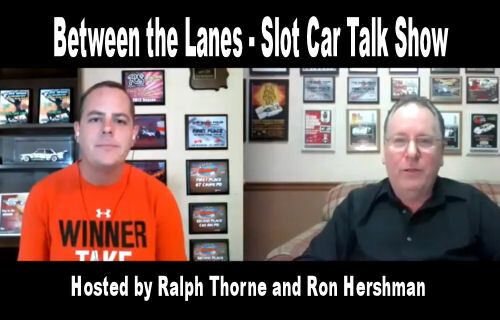 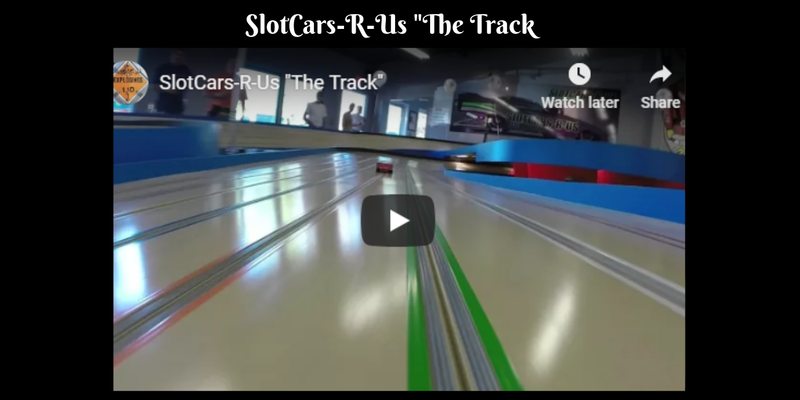 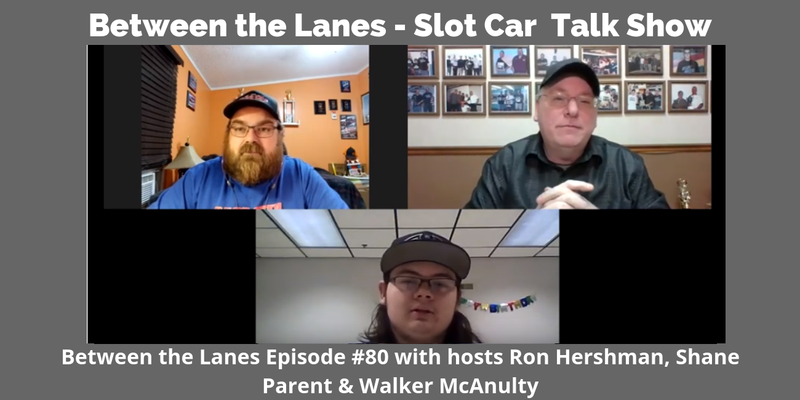 The “Premier” Episode of “Between the Lanes” Slot Car Racing Talk Show hosted by Ralph Thorne and Ron Hershman. 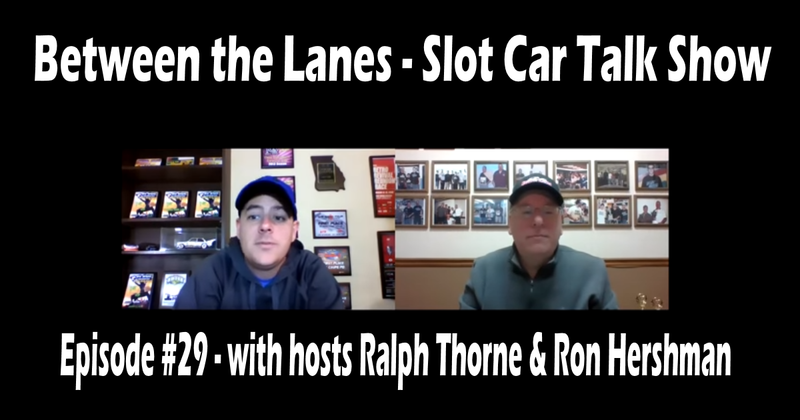 Ralph and Ron talk about Motor Dyno’s, Braid, Races, History and much more in this exciting First Episode.